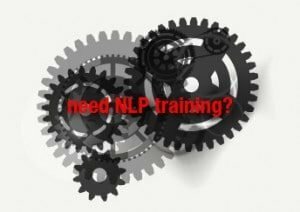 Our guide on how to benefit from your NLP training. We’ve identified six keys to getting the most benefit from NLP training. NLP training can have a profound impact on your work and personal lives. It is not a course to attend half-heartedly. Participants who have changed their lives as a result of NLP training have been the people who were brave enough to engage fully in the experience. Key ways to benefit from NLP training. 1. Take time to choose an NLP training provider that you trust and from whom you will enjoy learning. 2. As a starting point choose 3-4 topics to explore that will make a genuine difference to your life. You can always change them during the training. 3. Make a commitment to yourself that you will learn as much as you can and enjoy the experience. 4. Take an active part, and reflect on what works for you after having experienced an activity and listened to others feedback. Do not pre-judge. Remember the very best NLP training is experiential. Also remember that on an open course everyone is a resource that can help you in some way. 5. Be courageous, open and honest. After you have experienced an activity say exactly what you noticed, heard and felt. 6. Develop a daily questions list to supplement your experiential learning. Book a telephone or Skype consultation in Michael’s on-line diary.